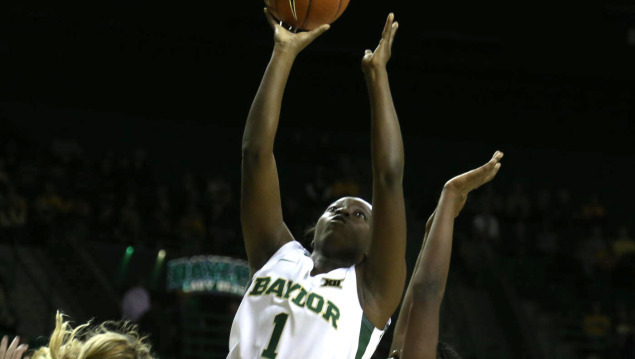 WACO – Dekeiya Cohen scored a career-high 18 points to lead 13th-ranked Baylor to a 96-42 victory over Stetson on Saturday in Waco. Nina Davis scored 14 points for her 35th career game with at least 10 points and fourth straight to start the season. Imani Wright scored 12 points, 10 in the first half, to give her four straight games in double figures to start the season (10th career). Alexis Prince scored a season-high 12 points and Kristina Higgins scored 11 points for second double-figure scoring game of the season and fifth of her career. Baylor (3-1) faces Marist Sunday at 2:30 p.m. CT as the BTI Classic concludes at the Ferrell Center.